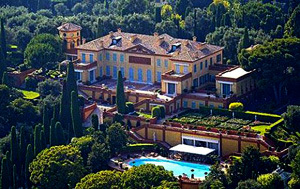 Are These The Most Expensive Homes In The World ?…. Are these the most expensive homes in the world – and how many are in the Uk ? At 63 acres, the home of Ira Rennert, is considered the largest residential compound in the whole of America. 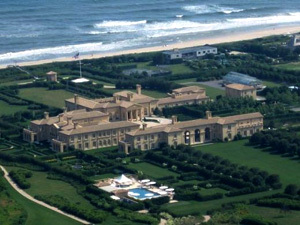 The publicity shy billionaire is the proud owner of the most valuable home in the Hamptons; with 29 bedrooms, 39 bathrooms, as well as a huge dining room (91 feet long), 5 sports courts, bowling alley and a $150,000 hot tub, this beachfront home cuts no corners. 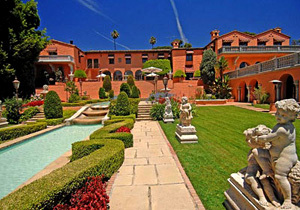 This mansion, formerly owned by publishing magnate William Randolph Hearst (the inspiration for the main character in “Citizen Kane”), features 29 bedrooms and three pools. It even comes complete with its own disco and theatre. Steeped in pop culture history, it was the estate used in The Godfather when the infamous severed horse’s head turned up in its owner’s bed. 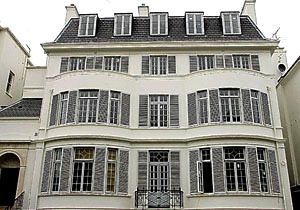 The house has some notable neighbours, including Tom Cruise and Katie Holmes and David and Victoria Beckham. 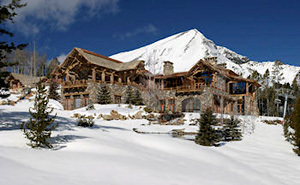 This luxury ski-lodge is to be the largest property in the exclusive billionaires-only private ski and golf community, “Yellowstone Club”. This home will include heated flooring throughout the house that stretches all the way to the heated driveway, as well as fireplaces in all bathrooms, a huge wine cellar, an indoor/outdoor pool, gym and massage room. This 40,000 sq/ft mansion is bigger than Buckingham Palace, has 103 rooms, is known as the most luxurious mansion in the world and has been billed as “the most important private residence to be built in England since the 19th century”. 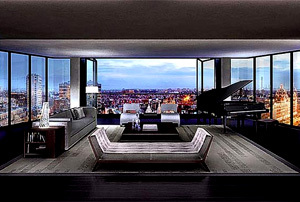 Its standout factor however is the 24-carat gold leaf mosaic floor feature in 22 bedrooms and 27 baths. Feeling flush? 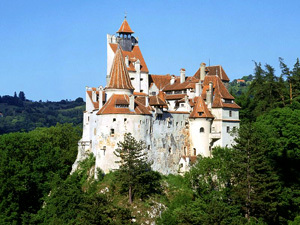 Built in the late 14th century this castle is a national monument and technically a museum thanks to Vlad the Impaler. However, this historical castle came on the market in 2009. Very different from the others on this list, this potential home would be more enticing due to its history and name, rather than the flash features it may possess. With 57 rooms in total, including 17 bedrooms filled with antiques and historical artefacts, this property is one for the quirkier billionaire.